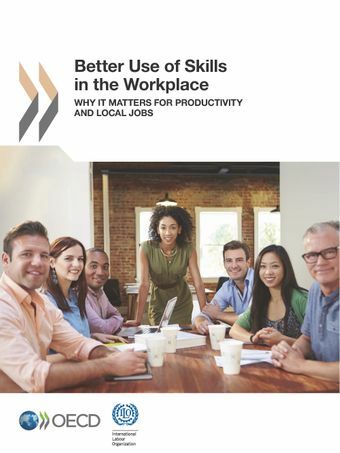 This joint OECD-ILO report provides a comparative analysis of case studies focusing on improving skills use in the workplace across eight countries. The examples provide insights into the practical ways in which employers interact with government services and policies at the local level. They highlight the need to build policy coherence across employment, skills, economic development and innovation policies, and underline the importance of ensuring that skills utilisation is built into policy development thinking and implementation.Skills utilisation concerns the extent to which skills are effectively applied in the workplace to maximise workplace and individual performance. It involves a mix of policies including work organisation, job design, technology adaptation, innovation, employee-employer relations, human resource development practices and business-product market strategies. It is often at the local level that the interface of these factors can best be addressed. On 2 November 2017, the report was launched in London at a conference organised jointly by the OECD, Warwick University, the Work Foundation, and the Centre for Cities. The event brought together stakeholders from national government departments, cities, Local Enterprise Partnerships (LEPs) as well as business, NGOs and research institutions to discuss the key challenges facing the United Kingdom in building more and better quality jobs.